Aadhaar is a 12 digit individual identification number issued by the Unique Identification Authority of India on behalf of the Government of India. This number will serve as a proof of identity and address, anywhere in India. Any individual, irrespective of age and gender, who is a resident in India and satisfies the verification process laid down by the UIDAI can enrol for Aadhaar.Each individual needs to enroll only once which is free of cost. Each Aadhaar number will be unique to an individual and will remain valid for life. Aadhaar number will help you provide access to services like banking, mobile phone connections and other Govt and Non-Govt services in due course. Resident's data shared with UIDAI while enrolling is fully safe and it is not shared with anybody without resident's consent. The residents who have already received Aadhaar or enrolled for Aadhaar need not enroll again unless specifically advised in writing by the UIDAI. There is no last date for enrolment. Residents can enroll any time as per their convenience at the designated centres. Enrolment for Aadhaar is a continuous process with no last date. What are the uses of Aadhra Card? How to enrol for an Aadhar? STEP 3: Select BPO Service Provide and submit request. 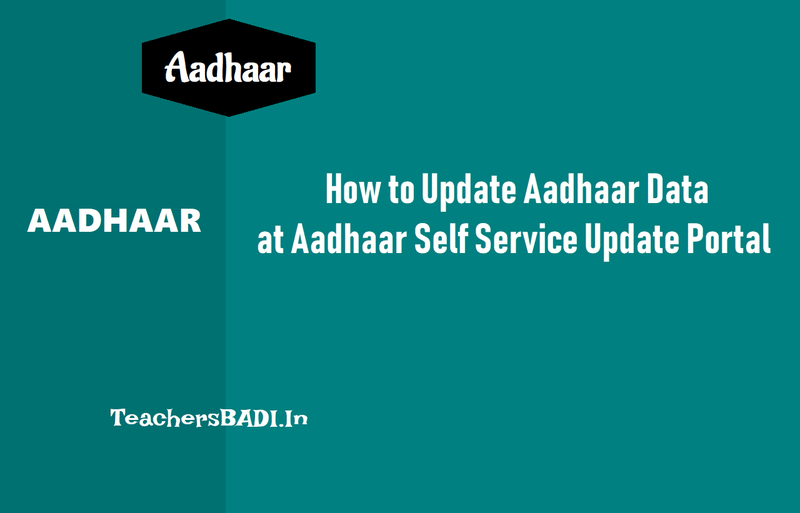 Note that Update here refers to any changes as well as corrections, if required, in resident´s original Aadhaar letter. Any resident with a mobile number can update their profile using this portal. Mobile number is mandatory to receive password for login. Residents can update Name, Address, Gender, Date of Birth and Mobile Number through this portal. For other updates, please visit Aadhaar Enrollment / Update Center. Residents are required to upload a self signed (self attested) copy of relevant documents for update/ correction. Please click here for the valid list of documents. Submission of information for update does not guarantee update of Aadhaar data. The information submitted is subject to verification and validation. UIDAI has permitted 18 types of documents as Identity proof, 32 types of different documents as Address proof and 3 types of documents as date of birth proof. Here were are provided list of valid documents for data update. 8 Arms License, 16 Marriage Certificate and Gazette Notification are accepted as identity proofs. 16 Signed Letter having Photo issued by Recognized Educational Instruction on letterhead, 32 Passport of Parents(in case of Minor) are accepted as address proofs. First, go to the aadhar official website home page by entering url uidai.gov.in, then, Official webpage will be appeared in your browser. Now search for "Resident portal" button on this page and click on it, then another page will be appeared in your browser with the address https://resident.uidai.net.in/. In this "Kiosk-Resident Portal" page, you can click on the Update Aadhar Data for start the process. Now, Aadhaar Self Service Update Portal Web page will be appeared after click in the above button. In this service page, please enter your Aadhaar number in the given field and enter the text in the required field, after click on the send OTP. Then, You will receive One Time Password (OTP) on your mobile number and enter received OTP. Data Update Request section will be opened on this same page. Please select field/s which you want to update/correct by selecting radio buttons of Name, Gender, DOB, Address, Mobile Number. After, click on the Submit button. Then online application form will be opened. In this section you can fill the form with required information and click on the "submit update request"
You confirm that you have read the instructions carefully and the information provided by you to the UIDAI and the information contained herein is true, correct and accurate and click on the proceed button. 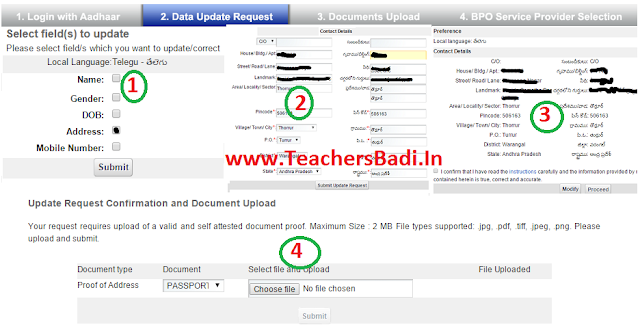 Update Request Confirmation and Document Upload page will be opened. In this section you have to upload self attested copy of a valid proof, here you can upload and submit. Select BPO Service Provide and submit request, then a message will see on the page like, "your update has been successfully submitted on today. Your Update Request Number(URN) is 12345 " and Note down your Update Request Number (URN) carefully for future reference and tracking. You can also download /Print your Update Request copy. That's all. 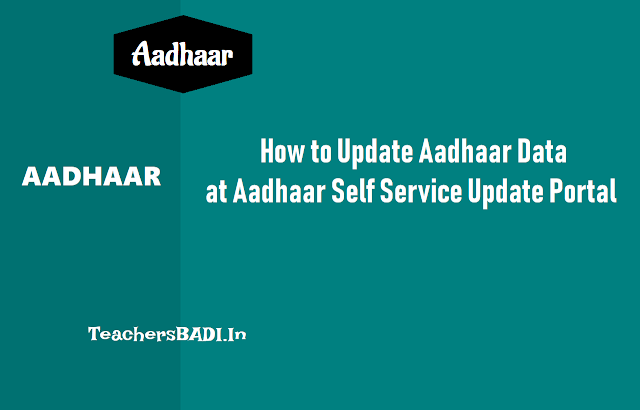 Click here to Know How to Update your Aadhaar card details online? i want to update my mobile number. but i can't do it as they are sending the OTP to my previous number. Is there any alternative?